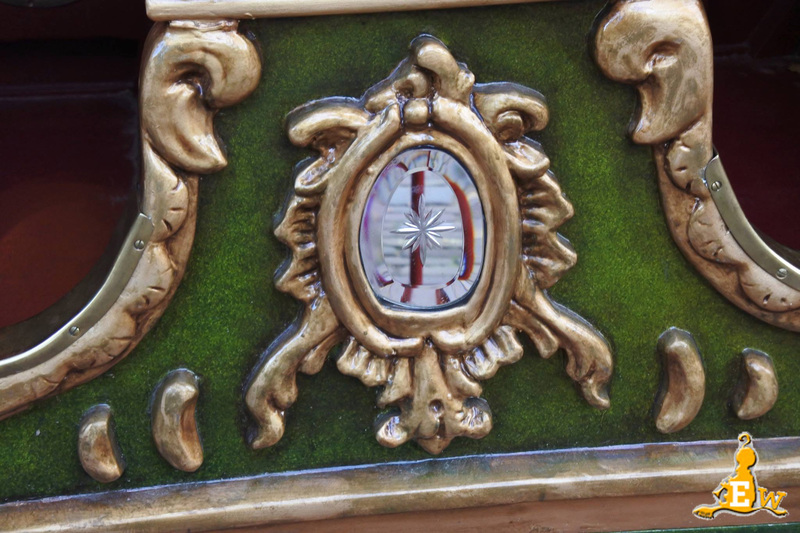 When you think of Efteling, you probably think of big attractions like the Flying Dutchman, Baron 1898, or the Fairy Tale Forest. 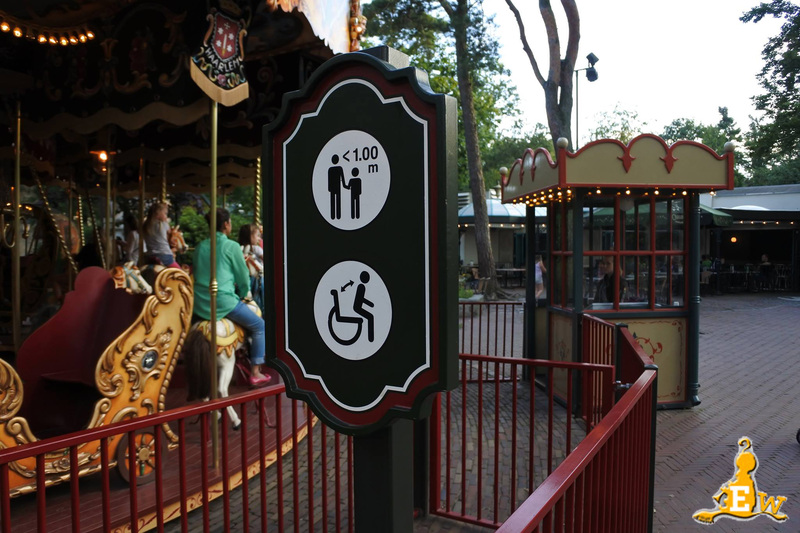 However, tucked away in Anton Pieckplein you will find the Vermolen Carrousel, an often overlooked attraction, particularly amongst adults and thrill-seekers. 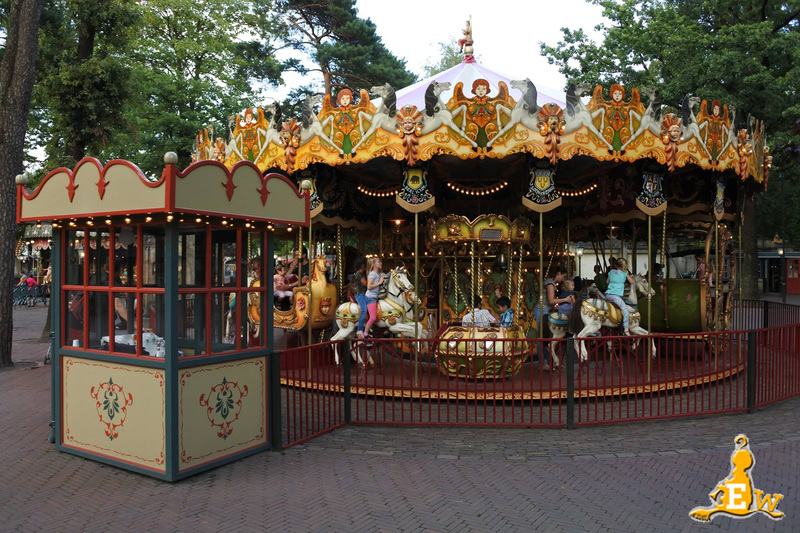 The carousel is the oldest in the Netherlands, and dates back to 1865. 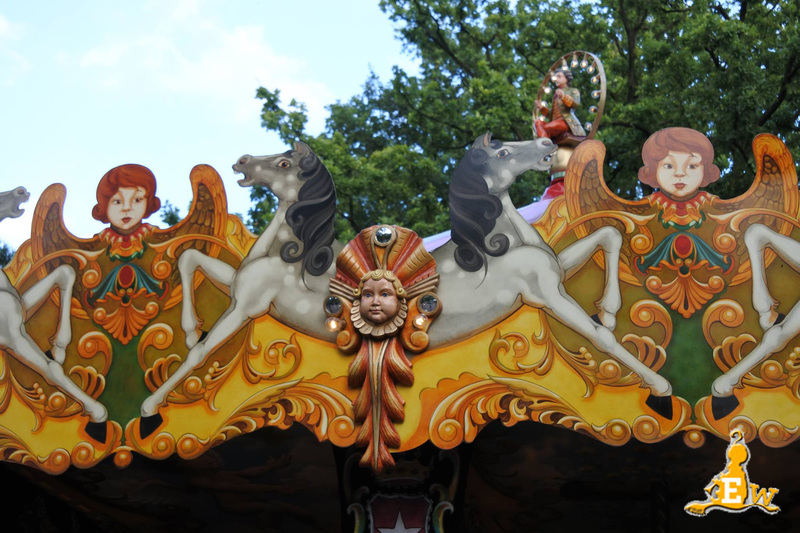 The carousel was originally owned by Mr. Leander from Wageningen, who travelled around the Netherlands with it, including in his travels a visit to Kaatsheuvel in 1957. After his wife’s death in 1900 Mr. Leander went on to marry Ms. Vermolen, whose children then took on the responsibility of the ride under the name ‘Brothers Vermolen’. 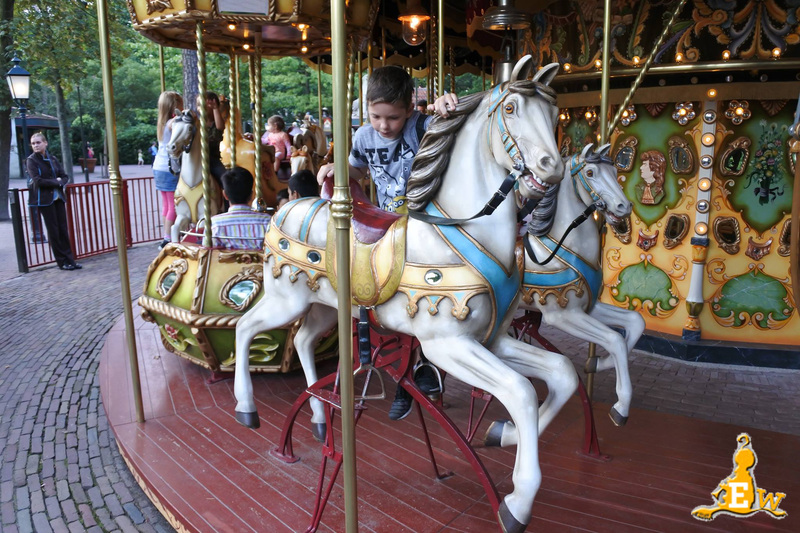 Later on, the carousel was run solely by Ben Vermolen. 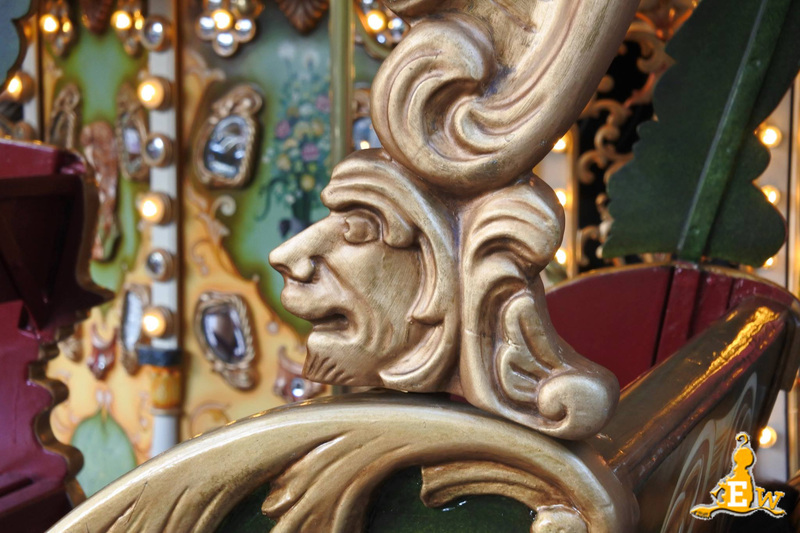 In 1985, Mr. Vermolen was asked to take his carousel to the World’s Fair in Vancouver. 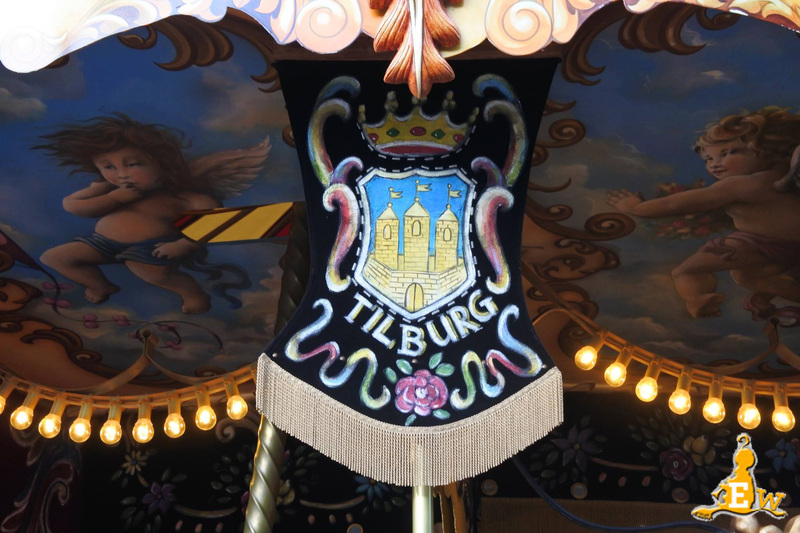 As there was already decades of tradition in his family of travelling the carousel around the Netherlands, he decided to send the original ride to Vancouver, and build a new one to continue travelling around the Netherlands with. 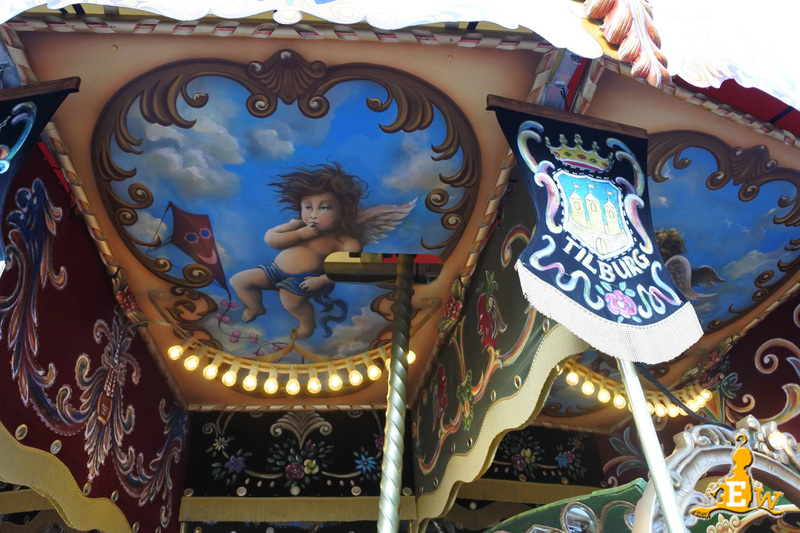 Everywhere the carousel has visited is documented in the canvas pennants on the ride. 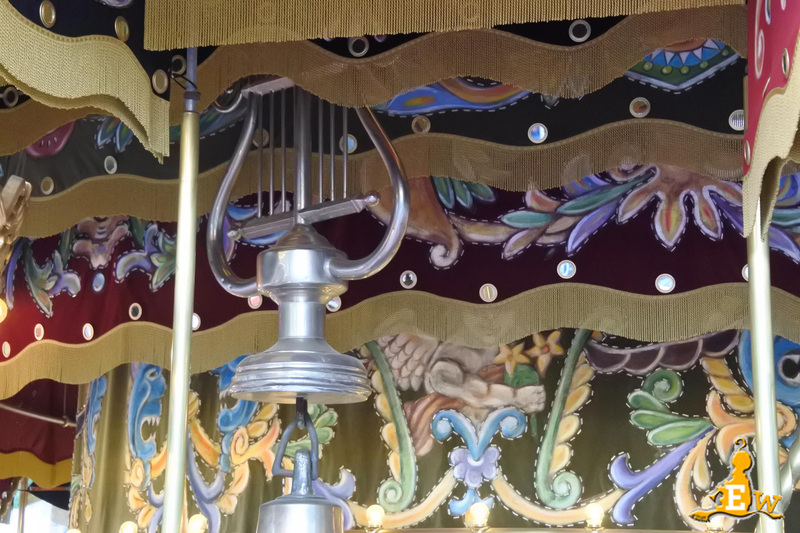 In the new carousel, a Carl Frei organ was installed, whereas in the original ride a Richter organ was used. 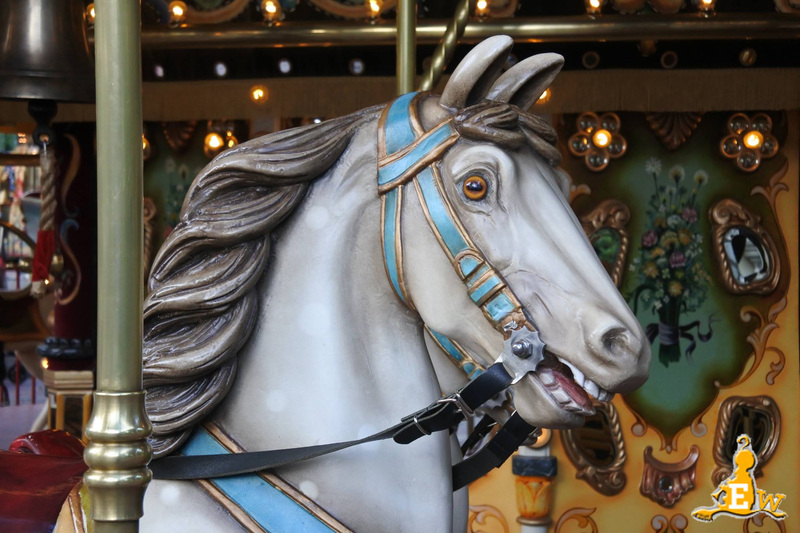 After the World’s Fair was over, Vermolen sold the carousel and so it remained in Canada, residing in a shopping mall for 10 years. 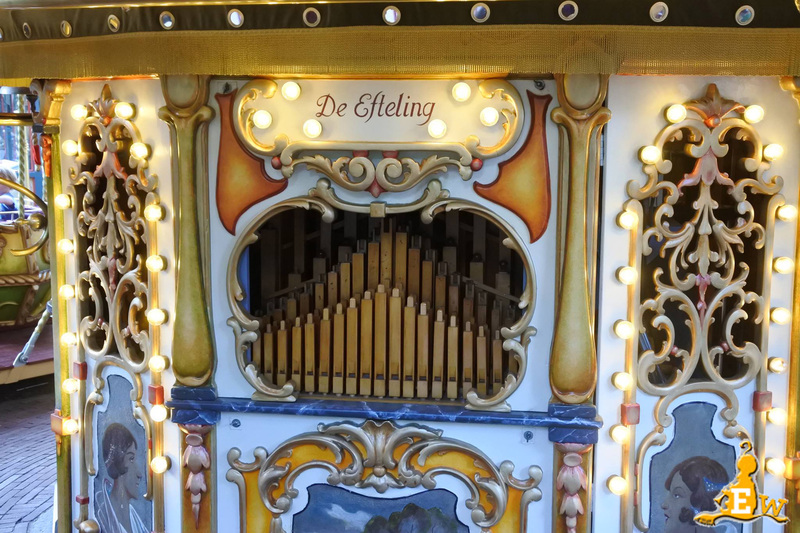 In 1995 the ride was bought by Efteling, who had the task of restoring it to its former glory; it is also decided at this time to switch the organs, providing Efteling’s new purchase with a Carl Frei organ. 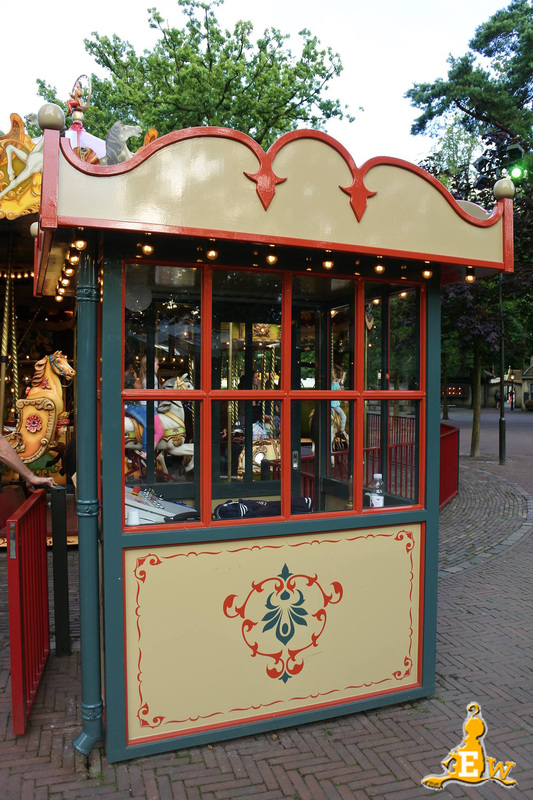 After a brief time at the Tilburg fair, Efteling temporarily install the Vermolen carousel on the grass where you will now find Winter Efteling’s Ice Palace. It was moved to the Dwarrelplein outside the House of the Five Senses in 1997, and in 2000 it was erected next to the Laaf Village. By 2004 the attraction has found its final home where it stands to this day, outside the White Horse on Anton Pieckplein. 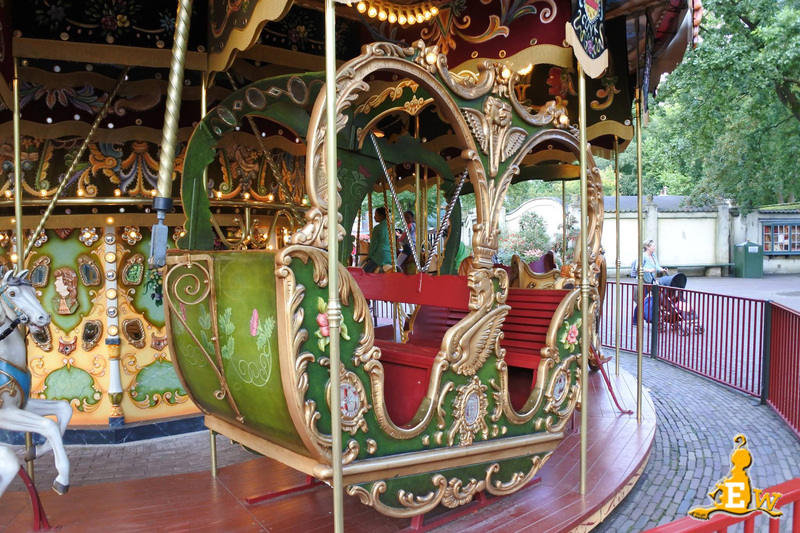 This past winter (2015-16) the Vermolen Carousel has received a complete restoration at Efteling’s Gildehuis, which took around 4 months to complete. 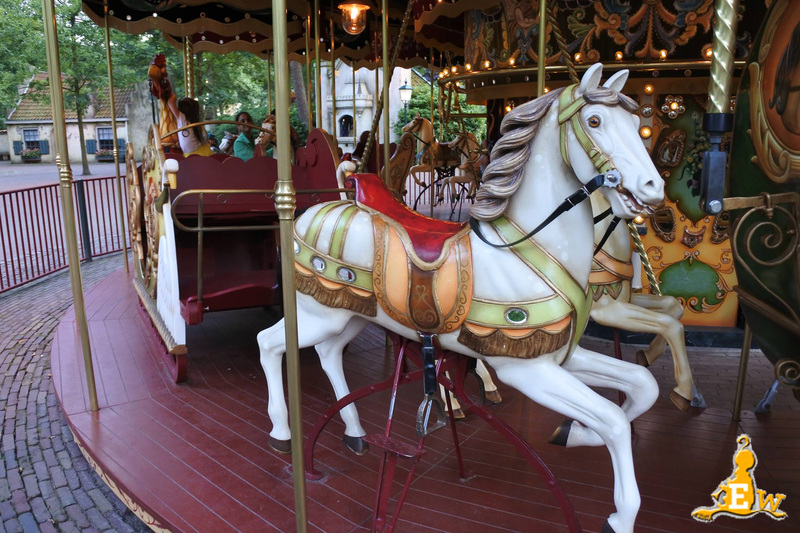 The horses, sleighs and carriages have all been sanded down to their original wood and repainted, new lights were installed, the panels and canvases were renewed, a whole new steel frame was built and installed, and the organ has been completely restored, allowing it to produce up to 30% more volume. A new control both has also been built alongside the ride. 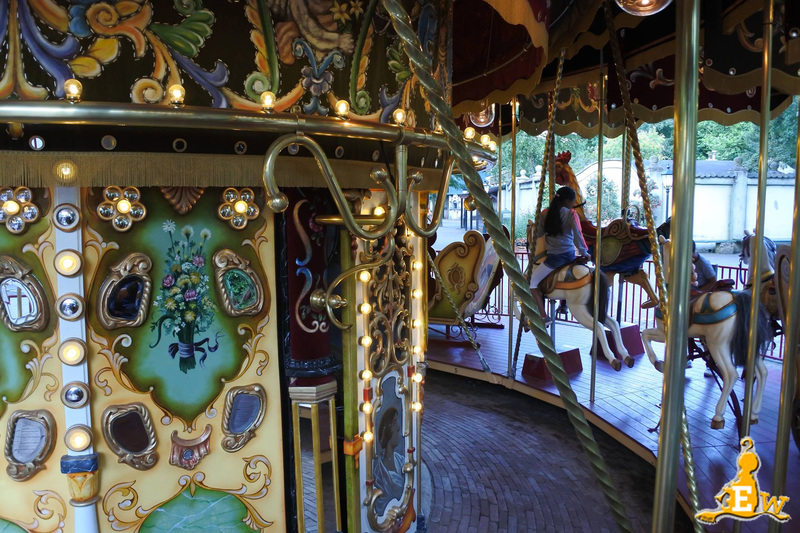 Here are some photos and a video of this beautiful carousel, by our good friend Eftelwesley; please click on the images to see them in their full glory! Unfortunately even the subtitles are in Dutch, but if you don’t understand the language, you can still gather most of what is going on!